Indeterminate, 56 days, cherry tomato, fruits are deep yellow in color, high yielding and grown best in 6-7 hours direct sun. Organic seed Non-GMO compact plants. Indeterminate, 56 days, cherry tomato, fruits are yellow gold in color, high yielding and grown best in 6-7 hours direct sun. Give the gift of local products grown by family farmers who care about the food we eat and the land we live on. This $25 gift certificate is good for purchasing any items on the RCM market. When you purchase this gift certificate, we will forward you a copy of the gift certificate. You need only fill in your name and the name of the person receiving the gift. Your friend, family member, or coworker needs to bring in the gift certificate when they come to pick up their first order. And to thank you for spreading the word about the Russellville Community Market, we will credit your account $3 for each gift certificate you give. Give the gift of local products grown by family farmers who care about the food we eat and the land we live on. This $50 gift certificate is good for purchasing any items on the RCM market. When you purchase this gift certificate, we will forward you a copy of the gift certificate. You need only fill in your name and the name of the person receiving the gift. Your friend, family member, or coworker needs to bring in the gift certificate when they come to pick up their first order. And to thank you for spreading the word about the Russellville Community Market, we will credit your account $5 for each gift certificate you give. 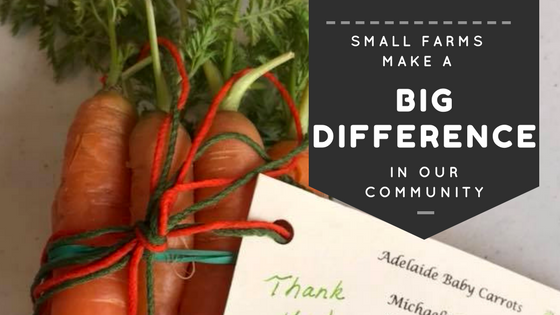 Give the gift of local products grown by family farmers who care about the food we eat and the land we live on. These gift certificates are good for purchasing any item on the RCM market. Sold in increments of one dollar -- place a number equal to the dollar amount you wish to buy in your shopping cart. When you purchase this gift certificate, we will forward you a copy of the gift certificate. You need only fill in your name and the name of the person receiving the gift. Your friend, family member, or coworker needs to bring in the gift certificate when they come to pick up their first order. Do you like it spicy? This sweet jam is made from our garden jalapeños, red bell peppers, and chili peppers. Watch out, they're hot this year! Half Pints are $5.75, or try a quarter-pint along with our other 3-Alarm Jams in a Sampler Pack. 3-Alarm Jalapeno Jam, 4 oz. Do you like it spicy? This sweet jam is made from our garden jalapeños, red bell peppers, and chili peppers. Watch out, they're hot this year! Can't decide? Try a total of 3 four-ounce Jams in one of our Sampler Packs. Homemade angel food cake made with free range chicken eggs. It is moist, unlike the grocery store or box cake. Add a scoop of your favorite ice cream, fresh fruit, or whipped cream for a delightful Easter Day dessert. Bluebird Hill Berry Farm Apple Butter is made from freshly processed apples. It contains apples, sugar and spices. Looking for a delicious breakfast treat for friends or family? You have found it! These scones are made with rich, heavy cream, farm fresh eggs, and fresh apples. They are topped with a crispy sugar glaze. If you don't eat them all right away, you can freeze them and finish them off later! Everyone loves fried pies! Flakey, flash-fried crust and flavor-packed filling, these little hand pies are a sugar-dusted delight. Cinnamon apple filling, made from fresh apples. Sold in sets of 6. Strawberry Jam, Peach Jam, and Blueberry Jam! Can't say Arkansas summer much better than that. All the fruit is farm-picked, local, and cooked up before our sunburns even set in. One four-ounce jar of each: Strawberry Jam Peach Jam Blueberry Jam No need to pick a favorite, enjoy them all!! Leaves range from 3-6" long, with a nice, peppery flavor. This small radishes have a great flavor, mild, not hot. No need to slice, just wash and throw right into your salad. This bacon comes from our pigs born and raised naturally on our farm. Raised on grass, milk from our family cow and vegetables from our garden. We are USDA Inspected, No hormones, No antibiotics, No MSG. Naturally Smoke Cured. These bagels are made from scratch with no preservatives or added sugar. They are boiled for 2 minutes on each side, then baked to a golden brown. They taste AMAZING!! These bagels are made from scratch with no preservatives or added sugar. Full of plump raisins and delicious cinnamon, these guys are the perfect breakfast treat. Try them toasted with butter!! The newest addition to my bagel making, these cranberry orange bagels are beyond delicious!! Each batch contains the juice and zest of one orange and 1/2 cup dried cranberries. I love to toast them and cover them with cream cheese! These bagels are made from scratch with no preservatives or added sugar and topped with a yummy mix poppy seed, sesame seed, dried onion and garlic. Plus, they taste AMAZING!! These bagels are made from scratch with no preservatives or added sugar and topped with a generous sprinkling of organic sesame seeds. Plus, they taste AMAZING!! These whole wheat bagels are made from scratch with no preservatives or added sugar. They are topped with a yummy blend of my "Everything" bagel topping, plus oatmeal and chai/hemp seeds. They go through a double rise, are boiled for 2 minutes on each side, then baked to a golden brown. They taste AMAZING!! Our beef is raised on chemical free pasture and no grain. We are USDA inspected and use No Hormones, No Antibiotics, and No MSG.